The FX504 is the first gaming laptop released by ASUS under its TUF (The Ultimate Force) Gaming series that provides affordable gaming experience to end-users without compromising performance. The one we have here for review is the Premium Steel version of the TUF Gaming FX504. All panels of this laptop are made of plastic except for the lid (Panel A) which has a metallic finish. It also sports a bold design with uniquely engraved graphics on the keyboard panel that gives it more of a futuristic and premium feel rather than an affordable impression. 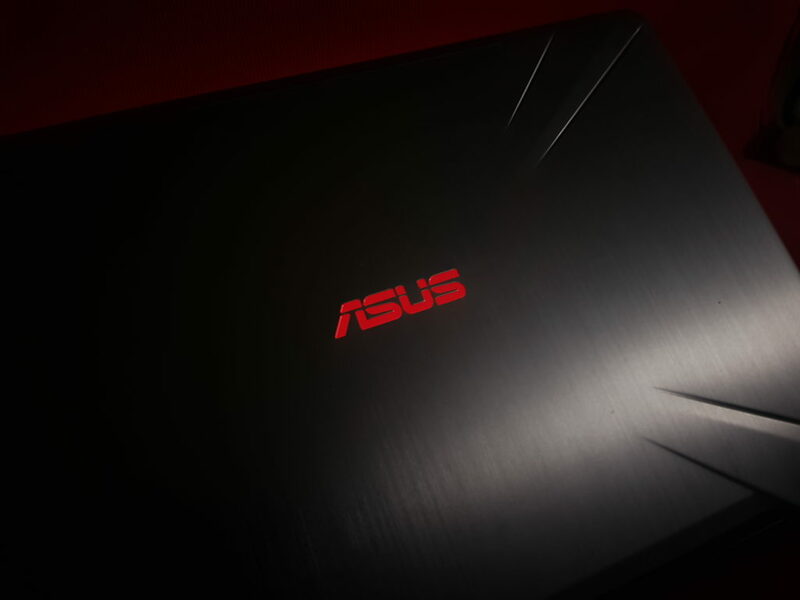 Unlike their other Laptops, ASUS has decided to make the ASUS logo on the lid to light up in red. This is aesthetically good as it also adds to the gamer feel of the FX504. 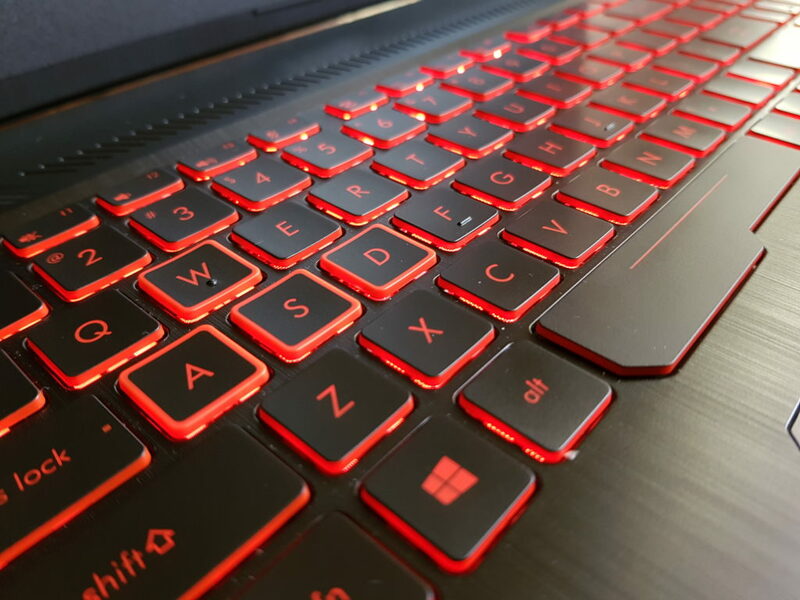 The keyboard of the TUF Gaming FX504 doesn’t possess the RGB spectrum of lights that we usually see on every ROG laptops, but instead, it is equipped with a red backlit keyboard. As “TUF” is known to be tough and durable, ASUS also made sure that the keyboard of the FX504 is durable and will last after long gameplay. Each key also has a travel distance of 1.8mm for comfortable and precise strokes. 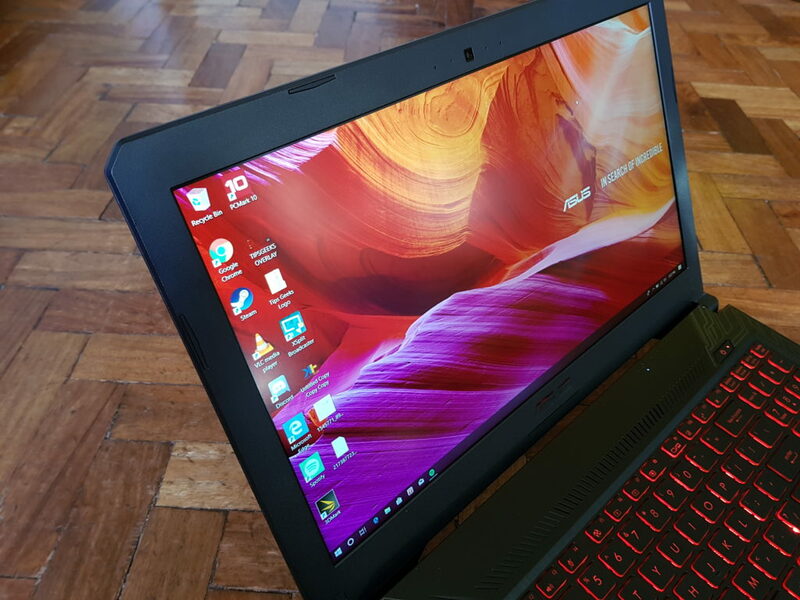 The FX504 targets consumers who want affordable gaming. Equipped with Nvidia GeForce GTX 1050 GPU with 4GB of VRAM, you can play most games such as DotA2, Dragonball Fighter Z, Tekken 7, and even PUBG. Take a look at the full specification below as well as our benchmark. The ASUS TUF GAMING FX504 is one of the first mid-range gaming laptops to come out with the Intel Coffee Lake processor. ASUS has checked a lot of the right boxes on our needed list with this product including the 120Hz which is one of its main selling points. The keyboard and hardware alongside the anti-dust cooling system and capable 7.1 audio output are some added features that should be considered when looking at this product. 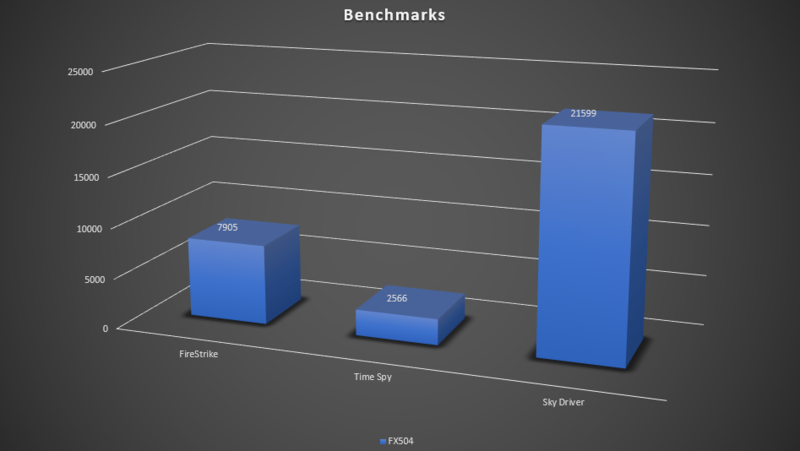 If the performance proves to be at par with the expectations of the end-user, the ASUS TUF Gaming FX504 is definitely a worthy purchase across the board. The only issue we concern the heat dissipation as feel as though the implemented cooling was not sufficient. This can be partially addressed with a little undervolting. 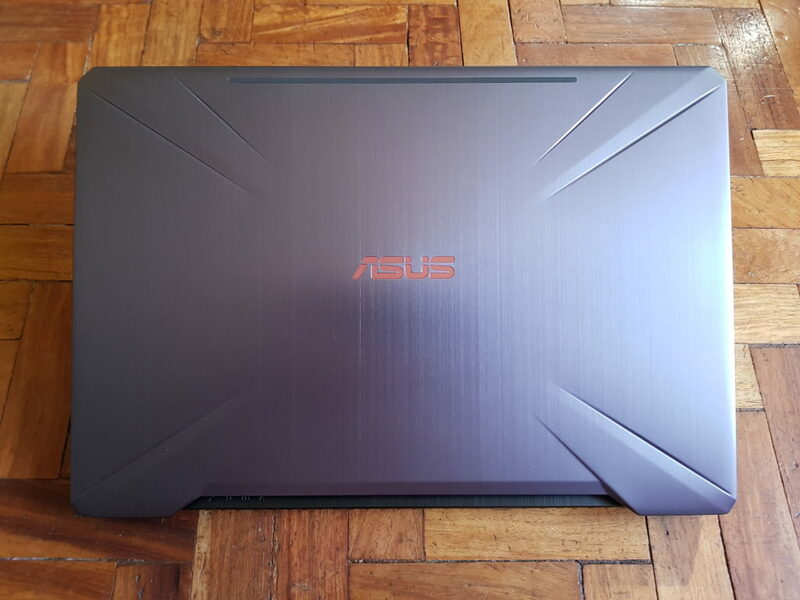 The ASUS TUF Gaming FX504 is available nationwide starting at ₱ 56,995. You can click ASUS Ph’s where to buy link for the list of stores near you.